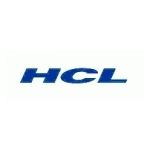 DAVOS, Switzerland–(BUSINESS WIRE)–HCL Technologies (HCL), a leading global technology company and the World Economic Forum’s Strategic Partner, today announced its largest presence to date at the side-lines of World Economic Forum’s Annual Meeting in Davos scheduled from 21st January 2019 to 25th January 2019. The company will host a three-day event in a special Pavilion that will feature a technology showcase, thought-leadership programs, as well as a number of high-level networking and social events throughout the tenure of the conference. For more information, visit: www.hcltech.com/world-economic-forum-2019. HCL Technologies (HCL) is a leading global technology company that helps global enterprises re–imagine and transform their businesses through Digital technology transformation. HCL operates out of 43 countries and has consolidated revenues of US$8.2 billion, for 12 Months ended 30th September 2018. HCL focuses on providing an integrated portfolio of services underlined by its Mode 1–2–3 growth strategy. Mode 1 encompasses the core services in the areas of Applications, Infrastructure, BPO and Engineering & R&D services, leveraging DRYiCE™ Autonomics to transform clients’ business and IT landscape, making them ‘lean’ and ‘agile’. Mode 2 focuses on experience-centric and outcome-oriented integrated offerings of Digital & Analytics, IoT WoRKS™, Cloud Native Services and Cybersecurity & GRC services to drive business outcomes and enable enterprise digitalization. Mode 3 strategy is ecosystem-driven, creating innovative IP-partnerships to build products and platforms business. HCL leverages its global network of integrated co-innovation labs and global delivery capabilities to provide holistic multi-service delivery in key industry verticals including Financial Services, Manufacturing, Telecommunications, Media, Publishing, Entertainment, Retail & CPG, Life Sciences & Healthcare, Oil & Gas, Energy & Utilities, Travel, Transportation & Logistics and Government. With 127,875 professionals from diverse nationalities, HCL focuses on creating real value for customers by taking ‘Relationships Beyond the Contract’. For more information, please visit www.hcltech.com.